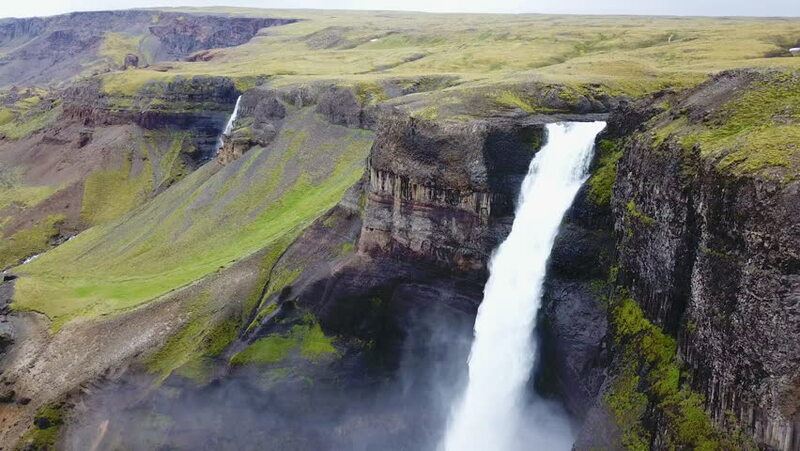 4k00:17Breathtaking aerial view on the huge waterfall and the valley around it. Bird view. Norway, Manafossen.